Yesterday we went for a short hike to the top of the Hörnli, our local mountain. It is only 1,133 meters (3,717 ft) high, but still much higher than the surrounding hills. Often this is the escape to see the sun when the lower elevations are covered in fog. 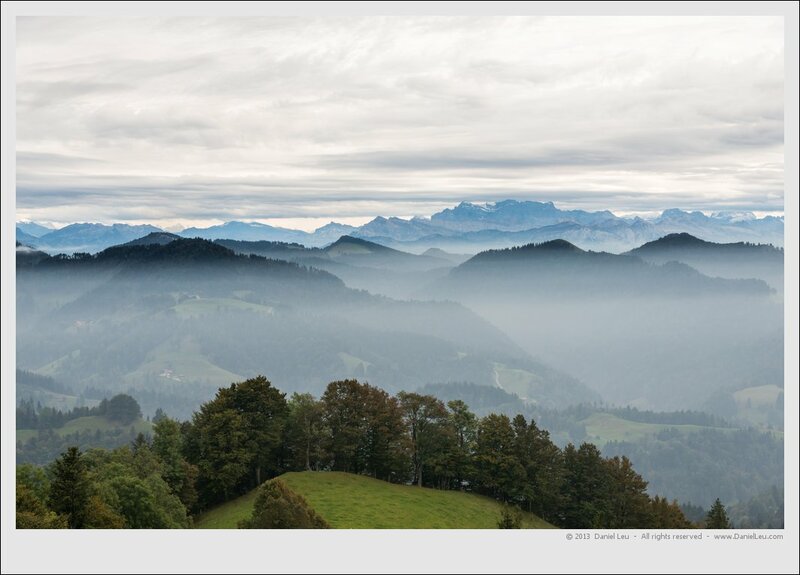 We arrived a bit too late to see the sun, but still we where treated with a nice view of the Swiss alps and foggy valleys.